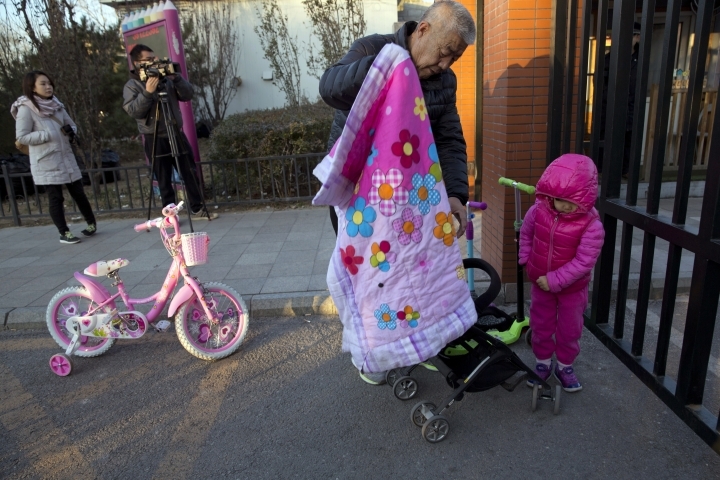 BEIJING — Dozens of upset parents gathered Friday outside a kindergarten in Beijing run by a U.S.-listed company demanding answers after reports alleged some children had been abused and molested. 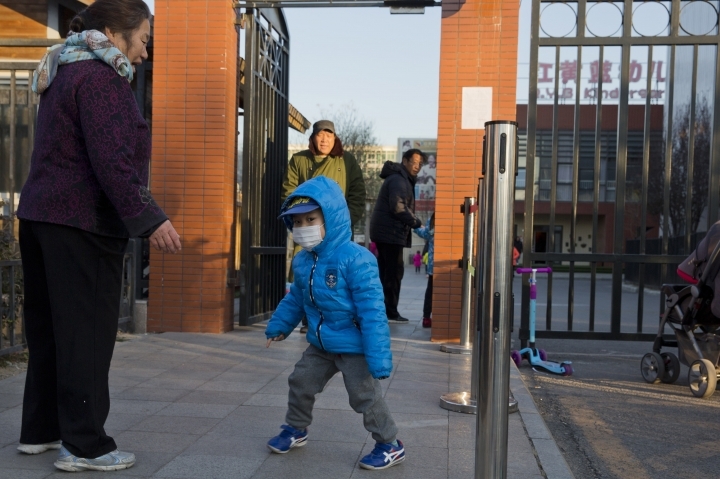 The case has drawn widespread attention in China and triggered outrage over potential lapses in supervision in the booming private preschool industry. The scandal erupted after influential newsmagazine Caixin and other Chinese media quoted some parents as saying their children were molested, forced to strip as punishment, found with unexplained apparent needle marks on their bodies and made to take unidentified white pills. The claims could not be independently verified. 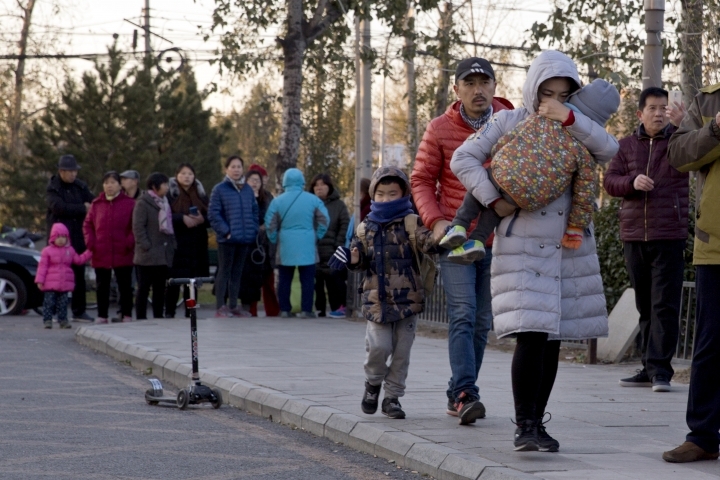 A group of parents demanded answers outside the Xintiandi school gate while other parents led their children past reporters and plainclothes security agents to the doors. "We need clarification. As parents, we have the right to question the school, don't we?" said a father who gave only his surname, Wang. Another man, who also gave only his surname, Li, said: "If there is no explanation, I'm not sending my child here anymore. I will come over every day until they respond." The Beijing Municipal Commission of Education said it would inspect other kindergartens in the Chinese capital, while the company that runs the preschool, Beijing-based RYB Education, said in a statement it has suspended three teachers. It promised to cooperate with police in a thorough investigation and vowed "zero tolerance" for abusive staff. It's the latest case involving schools to spark online outrage in China. "Laws must be enforced, supervision strengthened, teacher wages increased," an editorial by the official Xinhua News Agency said. "The childcare industry cannot be allowed to grow in an uncivilized fashion." Earlier this month, surveillance video emerged of abuse at a Shanghai daycare center run by China's largest online travel company, Ctrip. The video, uploaded by angry parents on Chinese social media, showed teachers slapping a crying girl, pushing a toddler to the ground, and force-feeding students a substance later confirmed to be wasabi. In April, RYB Education suspended the headmaster and two teachers at another branch in Beijing after a video of a teacher kicking children was widely shared online. In its statement on the latest reports, RYB suggested it was the victim of frame-up and false accusations by an "individual" and said it raised this with police. Concern rippled beyond families at the school. Pictures of alleged injuries were widely shared by users of China's WeChat messaging service before the country's internet censors started deleting posts. "This is quite terrifying," said Zhang Yang, a mother in Beijing whose children don't attend RYB schools. She said the allegations were alarming because they were being made against a well-known private institution. "All my friends went home and asked their children if they've ever been given medications or injected," Zhang said. The company went public on the New York Stock Exchange in September, joining other Chinese providers capitalizing on rising demand from the country's emerging middle class for educational services. "When education becomes a profit-driven center, you have to sacrifice somewhere," Zhao said. "You will not be willing to spend more money on people and you will not attract high-quality educators." Liu reported from Hong Kong.